Her story of entrepreneurship and force of action has been heard all over Jordan. Televised, spotlighted by local as well as international organizations and businesses, and even recognized by the minister of Social Development. 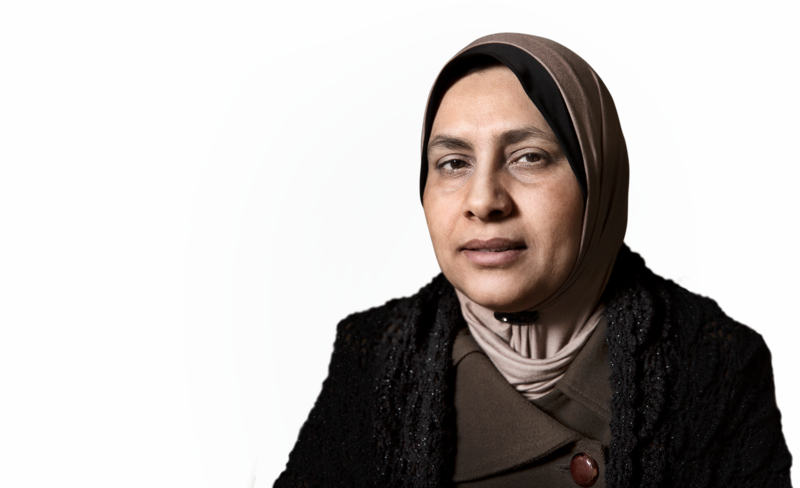 Despite the commotion, Ghannam is clear on what makes her the proudest: Her work to help other women thrive in business. Q: Besides your enterprise within food production you also operate your own foundation, do you see any synergies between these rather divergent activities? A: As a matter of fact, I do. Rather unexpectedly my food production business started to flourish when I got famous for my work to empower women. Q: The work of the foundation is aimed especially at young women, is there a difference between the older and the younger generation of women when it comes to gender roles? A: Both yes and no. I’ve met with many elderly women who are gatekeepers for old, traditional ideas when it comes to women’s role in society and the work they are allowed to do. Unexpectedly, these women have also expressed their admiration and respect for women’s struggle for success. Many even told us that they would encourage their daughters and granddaughters to become entrepreneurs. Q: Is there any example from your work with empowering women within business that you would like to highlight? A: I think the financial part is exceedingly important, and this is why we work to empower women economically. For example, we are enabling loans and saving groups. I love this new opportunity and I trained over 500 women on how to take out loans and to pay them on time. Q: This year you were selected as a role model by humanitarian organization CARE, what has that meant to you? A: It has been truly an honor to be awarded with the responsibilities of being a role model. My voice has now been heard throughout Jordan and we’ve met with more than 1,200 people so far. On this journey I’ve noticed that there is a big interest for these kind of topics, not least in social media. Giving back and empowering women is what truly makes me happy and enables me to make an impact on society. This has actually been the most important milestone in my life so far.